Alabama Quonset Hut Kits make an ideal workplace, storage space, or retail facility. Here are just a few of the reasons why the great citizens of the state of Alabama choose Powerbilt Steel Buildings as their Quonset Hut Kits supplier. 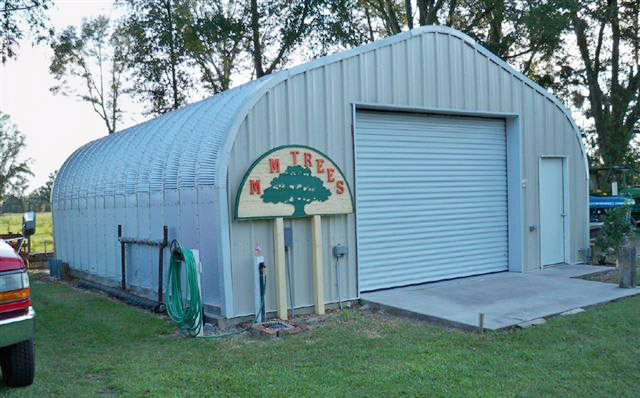 We have over 40 years of experience distributing Alabama Quonset Hut Kits. Our contemporary designs will fit any setting. Quonset do-it-yourself huts offer the best value in storage and workplace facilities. More interior space, no columns, posts or interior supports to get in your way. Rugged durability that is capable of withstanding some of the harshest weather and work conditions. We have highly trained Quonset Hut experts that are on stand-by ready to answer all of your technical questions. Our Quonset Hut Kits are pre-engineered of the highest quality and heaviest gauge commercial U.S. steel available in the world. We offer a 30 year warranty on all the Galvalume coated parts. Here’s the best part — Our Quonset Hut Kits are 100% made in the USA using only the highest grade U.S. commercial steel to ensure the best quality and workmanship available. We deliver our Alabama Quonset Hit Kits ready to assemble. Even if you never have built anything in your life, our step-by-step instructions make it as easy as putting together legos. Seriously… You can assemble one of our Alabama Quonset Hut Kits with ease as long as you have the ability to turn a wrench. The great news is you do not need any heavy equipment, which means that construction is easy (even in tight spaces). In most cases you only need two people, a piece of rope to lift the panels in place and a socket wrench to bolt everything together. Even if you feel that you are not a do-it-yourself type of guy or gal this is one project that you can be confident about taking on. All of our Quonset Hut Kits come with easy to follow illustrated directions. It is recommended that you give yourself a couple of days to construct everything. Which Alabama Quonset Hut Kits Do You Need? Give us a call and lets get your Quonset Hut Kit on its way!